Stressed out by pests? Regardless of whether the problem is in your home or business, or if the pest has fur or antennae – no pest problem is okay. 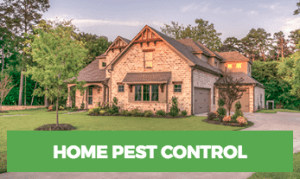 Rest Easy Pest Control in Suffolk County is here to combat all your pest problems. Infestations can be incredibly stressful, signaling disaster for both home and business owners. Know the signs of infestation, as well as what attracts these pests to your building. This way, you can take steps to eliminate the infestation immediately. Your home is your pride and joy. When you invite guests, you don’t want to have to stress over rodents and insects scaring them. While some pests can be prevented by keeping a clean and tidy home, some pests can’t be prevented no matter how hard you try. Nevertheless, dispose of your trash regularly, and keep your home neat and tidy. In particular, make sure you don’t have any standing water or open food containers. Pests, like all living things, seek food, water, and safe shelter. By eliminating these sources, your Suffolk County home will have fewer chances of pest infestation. As a business owner in Suffolk County, you need to take special precautions to keep invasive pests out. A pest infestation, whether large or small and regardless of the exact species, can be devastating. Businesses have been shut down as a result of infestations. Poor customer reviews, damaged reputations, failed health inspections, and other implications can have a serious effect on your reputation. 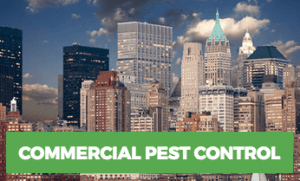 To prevent a pest infestation, conduct regular inspections with a commercial pest control professional. Also, make sure your staff follows a regular cleaning routine. There are hundreds of pests that can infest your home or business, with many easily prevented with a few precautionary steps and cleaning practices. For example, ants are common in any building, with the most common species being Little Black Ants and Pavement Ants. While most ants don’t sting or spread major diseases, they can still contaminate your food supply and are truly unpleasant to look at. Similarly, flies have the ability to damage your reputation, no matter how common they may be. Fruit flies and house flies are particularly common in restaurants, attracted to damp sinks and drains, as well as ample access to free food. It can be hard to truly eliminate a fly population because more will inevitably fly in as customers walk in and out of your business. However, good cleaning routines and DIY methods are often effective at controlling these airborne pests. And just when you thought you might have your pest problem under control, you’re hit with dozens of other pests that will strike no matter how vigilant you are about preventing them. Termites can strike any home or business, feeding upon the wooden structures of your building. These pests can completely destroy a building’s structural integrity in a matter of mere months. They can only be detected and prevented with vigilant and regular inspections by a professional. If you are trying to figure out how to get rid of a pest problem before it becomes any larger, it can be tempting to turn to harsh chemicals and other dangerous pesticides. These synthetic methods of pest elimination can sometimes make the problem more severe, or worse, make you, your customers, your children, or your pets extremely ill.
Don’t risk it. Contact us today for our organic pest control services in Suffolk County. We will work with you to devise a pest control solution that not only gets rid of your current infestation but also looks at factors that might attract new infestations. Rest easy, and know that your home or business is pest-free and healthy.